Having followed Dendera closely since the release of their solid debut, it’s almost an honor to watch them blossom the way they have. 2013’s The Killing Floor was positively received; the Maiden worship ringing true with many a metalhead. 2015’s Pillars Of Creation received even more critical acclaim; a truly hefty pillar (hehe) of heavy metal chock full of massive riffs. It was in this heavier direction I’d hoped they’d continue, and I have not been disappointed! Here in 2017, the English metallers return with, not a full-length studio album, but two EPs – the first of which is entitled Blood Red Sky. Anyone who enjoyed the previous LP is guaranteed to pull a massive grin within the first thirty seconds of this release. Number Of The Beast this is not – Dendera are here to pummel you. Pillars Of Creation began with “Claim Our Throne”, the opening riff of which is still one of my favourites of all time. Here, “The Awakening” goes on to prove that Dendera really know how to grab a listener’s attention from the get-go. After a brief drum crescendo, one’s face is nailed to the wall by the sheer force of the first riff. Angular dissonance, detuned strings, china cymbal crashes…this really is a ‘take no prisoners’ attitude – and we haven’t even heard the vocals yet. As an intro, “The Awakening” could not do a better job at showcasing what this EP stands for, and introducing the talents of each member. Andy Finch is a powerhouse of precision behind the kit, Bradley Edison’s bass tone is about as metal as you can get, and the twin guitar attack of main-man Stephen and newest member David Stanton is both beefy and composed. When vocalist Ashley Edison became the frontman for Power Quest’s triumphant comeback last year, I was afraid he wouldn’t have the time for Dendera anymore. But, if anything, his endeavours with Steve Williams and co. have only matured his voice to the point where he creates a magnificent emotive layer above the ultra-aggressive clamour beneath him. He’s hitting higher notes with more clarity, and not growling half as much as on their debut. A damn fine show from one of metal’s most exciting up and coming singers. He’s especially effective on “Final Warning”, where he soars majestically above seriously impressive fretwork for almost the entire track. In general, this track is a vicious, yet victorious, return to the fold – and features one of Stephen’s best solos. Amongst the truly crushing riffs (I find it impossible to write about this band without over-using the word ‘riff’) are some really intriguing techniques that make this EP so addictive. Occasional pinched harmonics scream in the ear; massive layered vocals in the choruses, and that boomy bass-drop sound effect that adds a colossal low-end to the already huge riffs. The quintet break into pseudo-thrash territory with the aural assault of the title-track, but in the process display some of their more creative riff ideas. Especially when 2:21 hits and you’re so lost in headbang-heaven, you may as well be listening to Overkill. Things accelerate even more as the brutal “Age Of Agony” alters between blast-beats and pounding mid-paced stomps, so heavy they could melt a box of rhinos five miles away. But the majority of praise must go to the mammoth “When All Is Lost”. 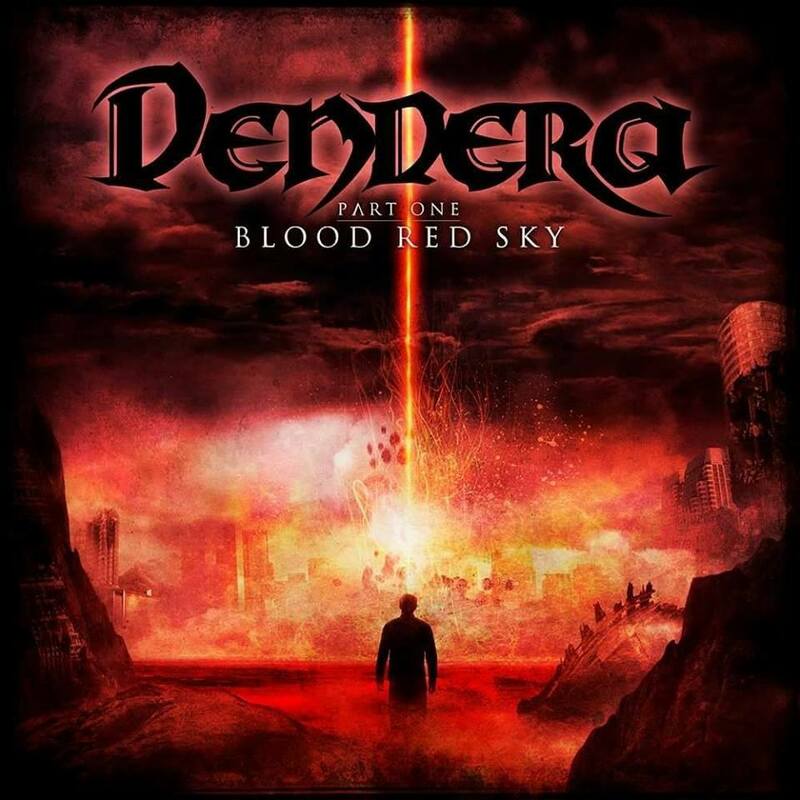 At eleven minutes, it’s easily the longest song in Dendera’s arsenal but earns every second with multiple twists and turns. From its utterly bone-crunching opening riff, through its eerie mid-section, culminating in a dramatic last chord – it’s one of 2017’s true masterpieces. I honestly cannot praise this band enough for the way they’ve bloomed over the years. They’re not so much ‘finding their feet’ as they are ‘trampling over the competition’. The second part of Blood Red Sky cannot come soon enough, because if part one is anything to go by, necks will snap, faces will melt, and bridges will burn. 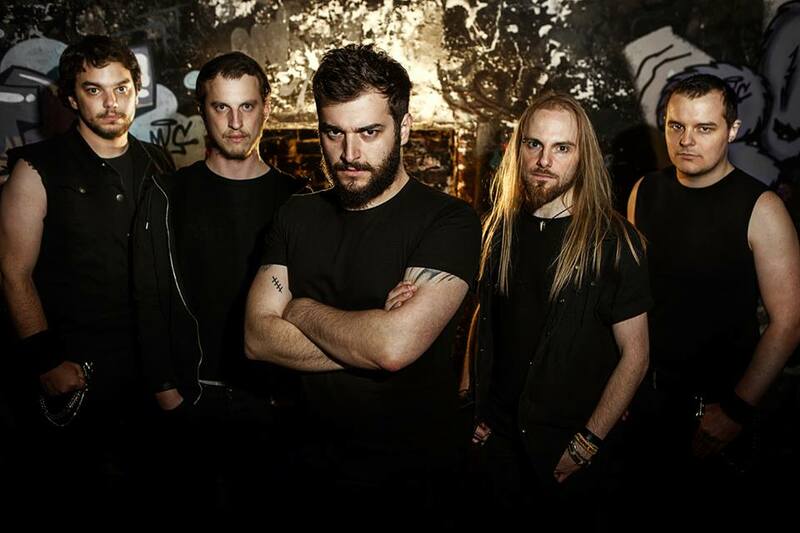 This entry was posted in Bands, Featured Review, Heavy Metal, Reviews and tagged Ashley Edison, Blood Red Sky, British Metal, Dendera, England, featured, Heavy Metal, iron maiden, Metalbox, Portsmouth, Power Quest, Riffs, solos, Steve Williams.